I'm teaching a daily trombone masterclass at a music camp this week. Tomorrow is concert day so we won't be doing much playing in class so kids can save chops. Fridays have turned into "YouTube" day in the various masterclasses. I have a YouTube playlist with a bunch of trombone videos that excite middle school aged kids (just finishing 6th, 7th and 8th grade - 11,12, 13 year olds) Some kids know who Joe Alessi is, but some kids only know what a trombone is. So I've got everything from Lindberg to Trombone Shorty. Wondering if you all know of any others that might be worth a look. The Channel of the SETrombone Symposium has some amazing stuff on there, i found the professor's choir always incredibly impressive. 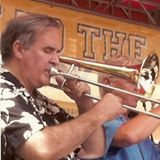 Also the big YouTube-Names: Christopher Bill, Paul the trombonist (i prefer his older videos) maybe especially his Video-Interviews with various trombonists. Then there are videos like the low brass Game of Thrones theme song which really might impress kids. But in general i think kids would appreciate seeing what can be possible on the instrument, so maybe Lindberg with Czardas, Bill Watrous, Bob McChesney, Ben van Dijk, i would take a great amount of different materials into the "presentation". That's some Solo-Stuff, you could aswell show Ensembles, for me its Trombone Szeged! They have some popular and well known pieces on YouTube like pirates of the carribean or Uptown Funk, showing how trombones can form really colorful ensembles. I think they get excited with powerful (brassy) stuff, so maybe Jim Nova's Star Wars stuff might hit the spot! Also Michael Davis' Hip-Bone Music Videos of interviews with various brass players, and the New Trombone Collective videos.